We provide Well Pump & Tank Service in South Jersey (Salem, Gloucester, Cumberland & Camden County), including Emergency No Water Service. If your home or business has no water, dirty water, or low water pressure, your well pump or tank may need to be repaired or replaced. Different well pump models have different levels of power and capacity, and may offer additional features. Selecting the right well pump can be as easy as replacing your current pump with the same model, or as complex as calculating your well yield and household water usage. 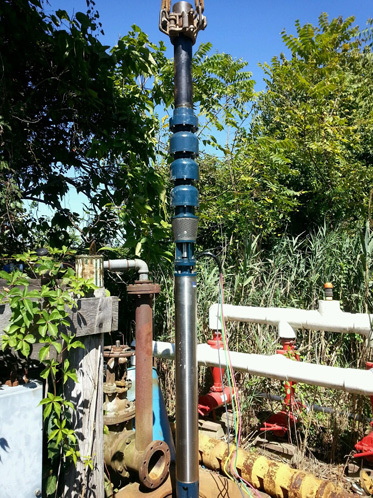 Aqua Tech Drilling, Inc. can help you select the right pump for your water needs and usage, and educate you on how your pump works. Your well tank is a critical component of your well system, and if it loses its air charge, it can cause damage to your well pump. That's why if you're experiencing a problem with no water, low water pressure, or dirty water, it's important to call us right away so we can inspect your well system and determine if the cause is your well tank, well pump, or both, or something else.